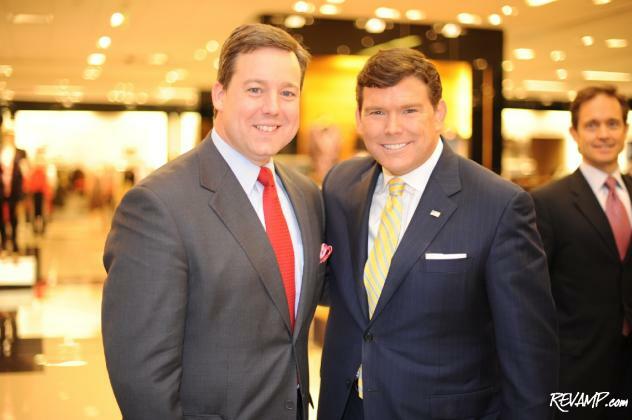 CNN senior White House correspondent Ed Henry and FOX News anchor Bret Baier were but two of the guests at last night's Bloomingdale's shopping soiree benefit. CHEVY CHASE, Md. -- With the thermometer predicted to hit a positively balmy 75-degrees tomorrow, the changing of the seasons is well underway in the District. 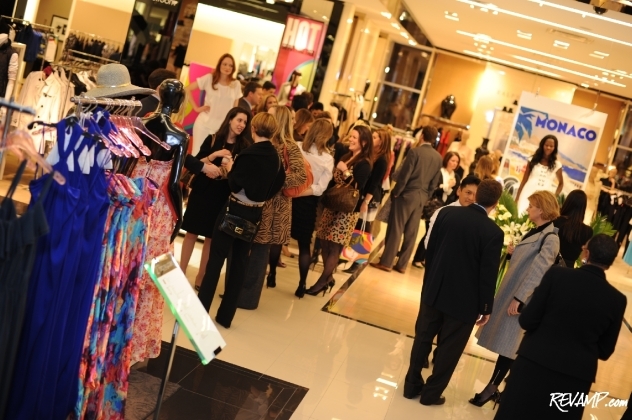 And in order to highlight the city�s newfound spring awakening, Bloomingdale�s of Chevy Chase partnered with local non-profit Mamie�s Mile for a shopping soiree benefiting area charities on Wednesday night. A grass roots organization that was formed in loving memory of Mamie Grace Eynon, who passed away after suffering complications from heart surgery, by her parents Elizabeth Manresa and Teddy Eynon, Mamie�s Mile commits itself to raising both money and awareness for various local charities each year. And with 10% of sales from all purchases made during the event being donated to charity, Elizabeth and Teddy�s friends turned-out in droves last night to show their support for the �Monaco Nights�-themed affair! Live models clad in the latest spring fashions from Bloomingdale�s greeted guests on the second floor. For the ladies, there were complimentary glasses of white wine and champagne, as well as a trio of live models sporting the latest in spring fashion from the luxury retailer. The gentlemen too were well taken care of, with a well-stock Scotch bar offering tastings of various aged premium whiskies and complimentary Dominican cigars. 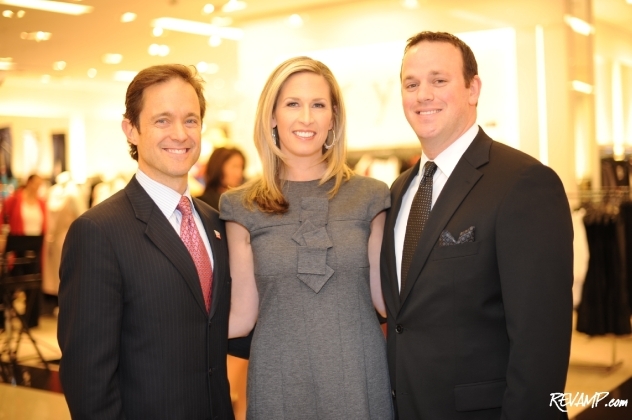 (L-R) Lobbyist Mike Manatos, FOX5 News anchor Laura Evans, and Bloomingdale�s of Chevy Chase General Manager Arif Boysan. Passers-by seemed a bit star-struck by the energy of the building, as they paused for a drink and the chance to mingle with the likes of CNN White House correspondents Ed Henry and Brianna Keilar, honorary evening hosts Amy Baier and Bret Baier of FOX News fame, Emmy award-winning WUSA9 anchor Angie Goff (and angelic baby daughter Adora), FOX5 News anchor Laura Evans and husband Mike Manatos, a prominent public policy lobbyist, FOX News political commentator Dana Perino, power couples Kelley Davenport and Doug Davenport and Ami Susan Petrucelli and Michael Petrucelli, and well-respected governmental affairs lobbyist Missy Edwards, among countless others. (L-R) WUSA9 anchor Angie Goff and CNN White House correspondent Brianna Keilar.